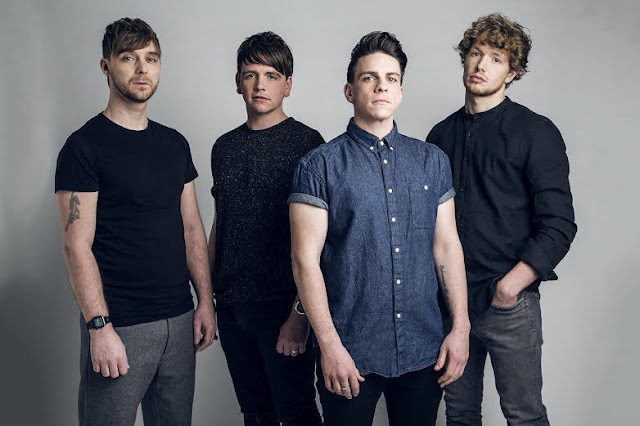 Filled with its soaring chorus and anthemic percussion, The Dunwells have returned on fine form with the first taste of their second album 'Light Up The Sky'. Through no delay Hurts delivers rich in sound as the band's tightly knit abilities unravel through driving melodies and well structured songwriting. "It’s a very honest record" explain the band on their new album. "It talks about where we are in life, how frustrated we sometimes are, but also our happiness, some occasional sadness, and the good foundations of our home lives. It’s also about how much we want this, how ready we are". Take a listen below for yourselves. The band's new album will be released February 26th. The Dunwells are Joe Dunwell (vocals, guitar) and Dave Dunwell (vocal, piano, guitar), Rob Clayton (bass), and Adam Taylor (drums).